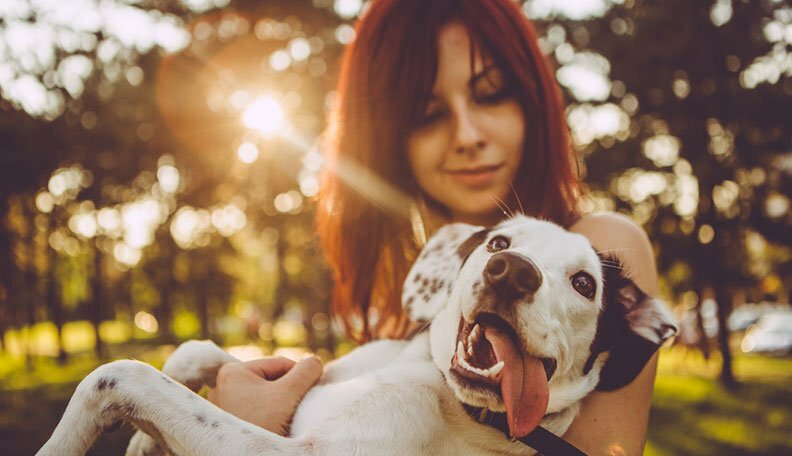 With 93% of pet owners saying that owning an animal makes them happy* and as technology separates us from each other, rescuing and adopting is at an all time high, especially amongst millennials. Getting a dog or cat can seem like such an exciting idea initially, but ‘in the moment’ you might be overlooking all the responsibilities and costs which come with owning a dog or cat, and unfortunately this is one of the leading causes of the 7 Million dogs & cats turned into Shelters annually. Below is a responsible checklist which you can use to help decide if you’re really ready to ‘take on’ a dog or cat right now. Consider your lifestyle today. How much time can you really spend each day with a dog ~ who requires feeling and living in a ‘pack’ environment every waking minute. Are you prepared to care for a dog or cat for it’s entire life, which could more than 12-15 years? When you adopt a dog or cat you’re committed to caring for it for it’s entire life. You and your family should be in complete agreement that you are committed to this responsibility for the pet’s life. If you’re considering getting a pet you should also think about where and what you’ll be doing in 2025-2030 – what are the chances of you moving, changing careers, starting a family? Will your hours changing at work? If your situation is likely to change make sure that you have a solid plan of who will be your next care provider for your pet before committing. When choosing a pet try to select one based on personality rather than looks. For example, think about whether you’d prefer an active dog to go jogging with or a calm dog to share a more sedentary life. Make sure you consider the extra house work which is involved with owning a pet and if you’re house proud think about the amount of hair certain breeds of cat and dog can shed. If you enjoy your holidays, you’ll need to make sure you can arrange for suitable care whilst you’re away or can afford a cattery or kennels. Boarding often runs an average of $35 – $45/day. Can you afford a Dog or Cat right now? $1,000/annually? In 2015 12% of pet owners admitted that they thought their pet would only cost $750 over their entire lifetime,* while actually a cat can cost $25,000 over a lifetime and a dog can cost anything between $24,000 and $48,000 depending on the breed or size of the pooch. 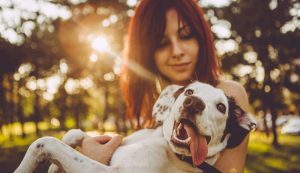 The main thing to consider when getting a pet is whether you can afford the basics (food, bedding, toys, carrier/crate, vaccinations, micro-chipping, neutering, flea and worming treatments, grooming and dental care) and then consider whether you would be able to cover emergency costs and insurance. Taking on a pet can be a big commitment time-wise – socialising, exercising, training, play time, taking your pet to the vets and cleaning can take more time than you think. Though cats are fairly independent, you still need to make sure that you have enough time to bring up a cat in the right way without forcing it to become self-dependent, especially with kittens. Having a dog will be a much bigger time commitment, as they need at least 1 to 2 hours of exercise every day and should not be left alone for more than 4 hours, and if you get a puppy you will need to commit to constant training throughout the day. Can you afford to take your pet to the vets if they become sick? 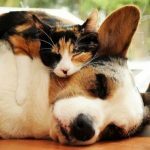 Unfortunately your cat or dog will probably become sick or need to go to the vets at some point during their lives, and you should factor in whether you will be able to cover emergency vet costs when you get a pet. Vet costs are rising significantly. Can you afford pet insurance to offset unexpected rising expenses that can come on suddenly. 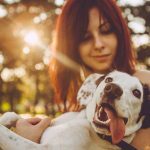 It’s a good idea to invest in pet insurance in case any serious emergencies occur, as this can help pay for the expensive vet fees. On average dog insurance can cost about $450 a year and cat insurance can cost between $8 and $30 a month. Do you understand what’s involved in caring for a pet? Place: a suitable environment, clear of any poisonous or hazardous items and with access to their own bed where they can rest. Diet: a suitable healthy diet and access to clean water. Behaviour: the ability to exhibit normal behaviour patterns. Love: care, attention and companionship. You should also consider whether your pet will need to be housed with or apart from other animals. Health: protection from pain, suffering, injury and disease. Will your pet have enough space to relax and play in? If you don’t have an outdoor space, will you be able to take your dog on daily walks or provide your cat with enough stimulation? If you do already own a pet you should think carefully about whether it’s a good idea to introduce a new animal, and if you’re not sure then seek advice from your vet or a professional animal behaviourist. Typically dogs are pack animals and do tend to do well living with other animals, though they would need to be a suitable fit. You should always introduce the dogs in neutral territory, for example your local park. If you have an older cat think about whether it’s fair to introduce a new kitten to the household as some cats prefer to have you all to themselves. If you are thinking about getting a pair of cats it generally does make sense to adopt two cats from the same litter. …If you think you’re really ready for your new best friend……..
start by Browsing our Adoptable Listings. You can choose preferable breeds, size, gender, age, etc. So many listed for your consideration, right here on Save A Rescue. Good Luck!